Helmau Cottages Self-cateringHelmau Cottages are situated 2 miles from Dolgellau within the Snowdonia National Park, and just 10 minutes walk direct to the spectacular waterfalls at Torrent Walk and near to Coed Y Brenin mountain-bike centre. 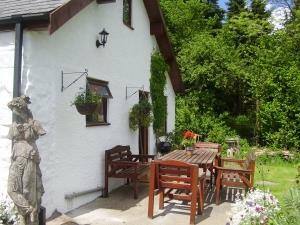 Helmau Cottages offers weekly bookings starting on any day and sometimes short breaks. Loved everything. Location is in the middle of no where.. but loved it! Thank you glad you enjoyed your stay with us. Janet.